The Amazon digital book juggernaut seems unstoppable at the moment and looks like it would chew up anything and everything that comes its way. It did so with the hardcover books back in July 2010 and now the latest victim is paperbacks. “Kindle books have now overtaken paperback books as the most popular format on Amazon.com,” as per the company earning release. The date was precisely the 19th of July 2010 when the world had first seen sales of digital books at Amazon taking over hardcover books for the first time in its history. While paperbacks seems safe then, almost six months later, it isn’t so for as per the latest earning release for the fourth quarter, Amazon has reported what however was always expected. 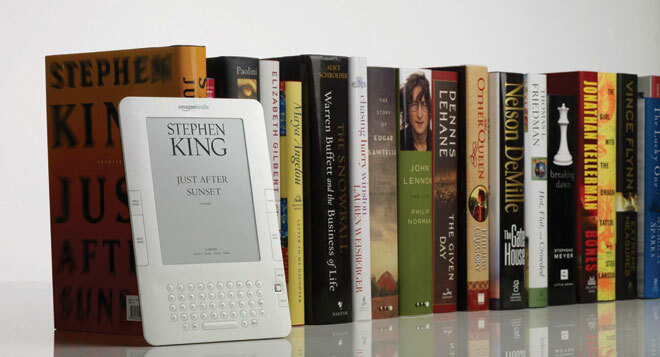 But what surprised many including Amazon itself is the pace at which sales of digital books have overtaken that of paperbacks since it was in the second quarter of this year that Amazon had expected this to take place. “Thanks to our customers, we achieved two big milestones,” announced Jeff Bezos, the founder and CEO of Amazon.com in the company’s press release. For the full Amazon.com press release, click here.